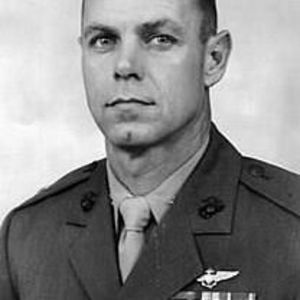 Lieutenant Colonel James Robert Stewart (Ret. USNC ), 74, The Oaks of Mayview, Raleigh, NC went to be with his Lord and Savior on January 19th, 2018 after a valiant battle with Primary Progressive Aphasia, a very rare form of dementia. "Jim" was born in Pensacola, FL to the late Dorothy Oglesby Stewart and the late Aubrey Lee Stewart. He was an avid Boy Scout and attained the rank of Eagle Scout. He graduated from Escambia High School in 1961 where he played 3 years of football including the first undefeated season in school history. Jim lettered every year, was voted Outstanding Lineman his senior year, was a member of Key Club and President of the Varsity Club. Jim attended the University of the South in Sewanee, Tennessee where he was voted the most valuable freshman football player, served as team captain his senior year and was selected All Conference Guard. His team was undefeated in the 1963 season becoming only the third undefeated team in the University's history. Jim was also instrumental in helping plant Abbo's Alley at Sewanee. Jim was a member of The Order of Gownsmen, Sigma Alpha Epsilon Fraternity, Sewanee Forestry Club, Blue Key and the Green Ribbon Society and served on the Board of Trustees for the University for 3 years. He graduated in 1965 with a Bachelor of Science in Forest Management. After spending his summers fighting fires in California, Jim joined the Marine Corps in 1967. He attended the Officer Candidate School in Quantico, VA and after his commission, was ordered to Pensacola for Flight Training. After receiving his wings, he was ordered to New River Air Station to transition to the helicopter he would be flying during his 13 months in Vietnam (1969-70). Jim was deployed into combat with the CH-46 Squadron HMM-364, The Purple Foxes, and had lifelong bonds with them. In 1970, Jim was ordered to Pensacola as a flight instructor and earned the distinction of Flight Instructor of the Year. He transitioned to fixed wing aircraft and flew the A-6 Intruder and the A-4 Skyhawk. Jim had 3 tours in the Far East. He was promoted to Lieutenant Colonel and was assigned command of the A6 Intruder Training Squadron at MCAS Cherry Point, NC for 3 years. Jim wanted roots for his family. He chose New Bern, NC for their residence where he also served on the Vestry at Christ Episcopal Church. When the tour concluded, he was ordered to a staff position in Japan. Upon completion of the Japan tour, he transferred to Norfolk, VA where he was assigned to Naval Operation Test and Evaluation Force and was responsible for Operational Testing of Aircraft and Weapons Systems before they were sent to the Fleet. During his tour in Norfolk, Jim earned a Master's Degree in Business Management. Jim loved to play golf, travel and most of all, sing in his church choir. Music touches the soul and it brought Jim much peace and comfort in his final years. Jim was so proud of his family and blessed to have 3 children with his first wife of 20 years, Barbara Stewart Hill, and is survived by them: John (Lynn) Stewart of Burgaw, NC, Matt (Rhett) Stewart of Atlanta, GA and Jane (Will) Hamlin of Raleigh, NC; 2 sisters Katie Stewart of Marietta, GA and Lynn (Larry) Morris of Pensacola; and eight grandchildren Chandler and Chase Stewart of Burgaw, NC; Caroline, Lily, Anna, Sutton and Jim Stewart of Atlanta, Georgia; Drake Hamlin of Raleigh, NC. Jim's accomplishments are many, but he will be remembered most for always being a gentleman, his compassionate heart, love of God, sense of humor and his beautiful, soulful eyes. Special thanks to all of the Purple Foxes who have demonstrated the verity of "No Man Left Behind". Semper Fi. The family would like to express their sincere gratitude to all of the wonderful staff at Mayview, especially Dr. William Dunlap, Lamin Sanneh, Brenda Smith and Mary Harris. Jane would like to thank the MSU staff who cared for and loved Jim during the final years of his life. A graveside service with full Military honors will be held at Barrancas National Cemetery at Pensacola Naval Air Station at a later date.